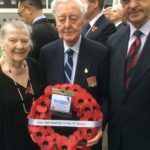 Exactly one hundred years after the Armistice in 1918, Mr Peter Mann, Mrs Joan Campbell and Dr Verner Bickley lay a wreath on behalf of RCS, HK Branch at the Cenotaph. 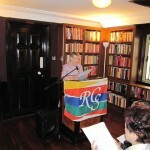 RCS, HK Branch, organized a charity concert at the residence of the Canadian Consul General on 25 October. Concert pianist, Jacqueline Leung, played pieces from Schumann, Bach, Gershwin and Chopin. Around $22,000 was raised for El Sistema, a charity which provides musical instruments and group training to disadvantaged young people in Tin Shui Wai. 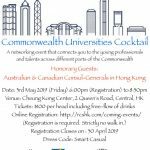 On 20 September, RCS, HK Branch organized a charity concert at the residence of the Australian Consul-General (which had luckily survived the recent super-typhoon) to raise funds for the RCS Vocal Scholarship at the Academy for Performing Arts. The concert had a lunar theme and around $40,000 was raised for the scholarship.